This post is part of the Java Advent Calendar and is licensed under the Creative Commons 3.0 Attribution license. If you like it, please spread the word by sharing, Tweeting, FB, G+, etc! One of the rarely known features in Java among developers is Thread-local storage. The idea is simple, and the need for it comes in scenarios where we need data that is, well, local for the thread. For example, if we have two threads that refer to the same global variable but we want them to have separate values independently initialized of each other. Most major programming languages have implementations of the concept. For example, C++11 has the thread local keyword, and Ruby has chosen an API approach. Java has also an implementation of the concept with java.lang.ThreadLocal<T> and with subclass java.lang.InheritableThreadLocal<T> since version 1.2, so nothing new and shiny here. In the beginning the value is set to null to both threads, obviously each of them works with separate values since after setting the value to System.nanoTime() on Thread-0 it will not have any effect on the value of Thread-1 exactly as we wanted, a thread scoped long variable. One nice side effect is a case where the thread calls multiple methods from various classes. They will all be able to use the same thread scoped variable without major API changes. Since the value is not explicitly passed through one might argue it difficult to test and bad for design, but that is a separate topic altogether. In what areas are popular frameworks using Thread Locals? Or the current JDBC connection user credentials in UserCredentialsDataSourceAdapter. If we get back on RequestContextHolder, we can use this class to access all of the current request information from anywhere in our code. A common use case for this is LocaleContextHolder, which helps us store the current user's locale. Mockito uses it to store the current "global" configuration and if we take a look at any framework out there is a high chance we'll find it as well. Now that we've learned about this awesome little feature, let's use it all over the place! Well, we can do that, but if you try a few Google searches, you'll find that most posts out there claim that ThreadLocal is evil. That's not exactly true. It's a nice utility, but in some contexts, you could easily accidentally create a memory leak. It is very easy to create a memory leak in your server code using ThreadLocal if it runs on an application server. ThreadLocal context is associated to the thread where it runs and will be garbaged once the thread is dead. Modern app servers use pool of threads instead of creating new ones on each request, meaning you can end up holding large objects indefinitely in your application. Since the thread pool is from the app server, our memory leak could remain even after we unload our application. The fix for this is simple - free up resources you do not need. One other ThreadLocal misuse is API design. Often I have seen use of RequestContextHolder(that holds ThreadLocal) all over the place, like the DAO layer, for example. Later on, if one were to call the same DAO methods outside a request, for instance, and scheduler, he would get a very bad surprise. Even though, the variables in ThreadLocal are local to the thread they are very much global in your code. So, if you want to avoid maintenance developers hunting you down and taking their revenge, make sure you really need this thread scope before you use it. The triggering of the breakpoint happens when the execution of the code is done in the place where we have added it. In cases where there is no debugger handler - for example in most browsers without dev tools - this statement has no effect. 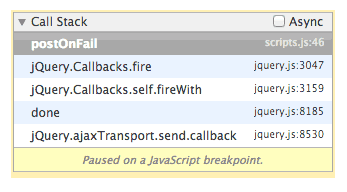 On the dev tools side, it will appear as if we have manually placed the breakpoint. 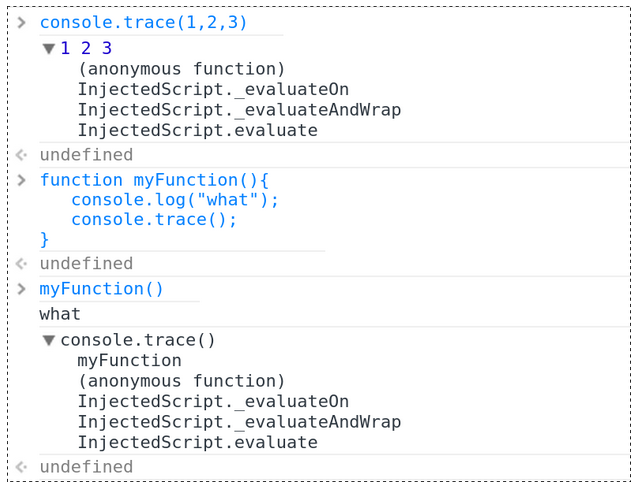 Note that console.trace is a non-standard functionality and is not something you should have in production. It is, however, supported by major desktop browsers. Most definitely an essential feature in today's asynchronous world, in my opinion. 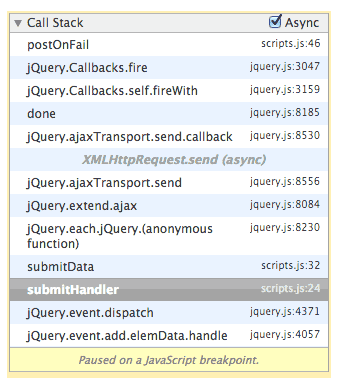 For an extensive explanation of how the async call trace works, I recommend this HTML5rocks article. Since we have combined this with the console.trace, we can also see the call trace. Awesome right? Well, not so much, since at the time of writing only Chrome supports this and it is a non-standard functionality. Fortunately, it is proposed as part of ECMAscript 7. There is also a similar internal variant for this in Gecko based browser object.watch. Then again, when it comes to debugging, anything we can get is useful. Note that Objects.observe primary function is not debugging, but it is a great side effect. 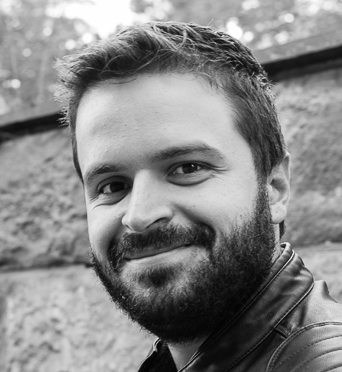 Who’s Changing My DOM/HTML Element - Aka, Who’s F***ing Up My Code? In complex applications, we may end up in a situation where we do not know how a certain HTML element got changed, moved, added, or had some of it's attributes modified. One way to figure out is to attach the now deprecated mutation event listeners. The API for this is far from ideal, and there are other shortcomings. The newer browser version comes with an object called MutationObserver, which enables us to watch a certain DOM element. There is also the non-programmable solution we can use in Chrome called DOM breakpoints which still uses mutation events in the background. As simple as that, just add the error handler to the window object and you're done with the client side. The handler can then make an AJAX request to a REST endpoint which will store the error information on your server. You might find out that a client using IE 8 has a lot of issues this way because IE versions predating 9 have no string.trim(). I guess string trim is just not that essential. Of course, this is the most basic of solution you can have. 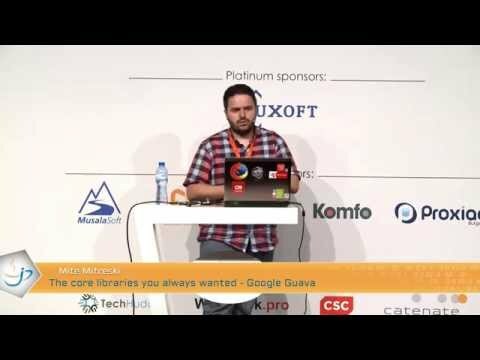 There are tons of better solutions out there like http://www.stacktracejs.com/ or http://jsnlog.com/ and a more extensive article on Mozilla hacks. There is also a great Hacker News discussion on this topic, but hey, this is certainly a good start! I know you are way too busy to be writing any backend code. so why not just store the data in Google Analytics? You can certainly do this, but note that this is a hack, and there are a lot of better commercial options out there like http://usersnap.com if you want to be really thorough - but even a hack is better than no information, which is what most people have.